Calyx Peak Companies seeks to acquire assets in the space or take significant investment stakes markets with a high barrier to entry. We are looking for people and businesses with the vision to lead the Cannabis industry revolution ahead of full federal legalization. When you speak with us, you will see how passionate we are about the industry and investing with operators like you. 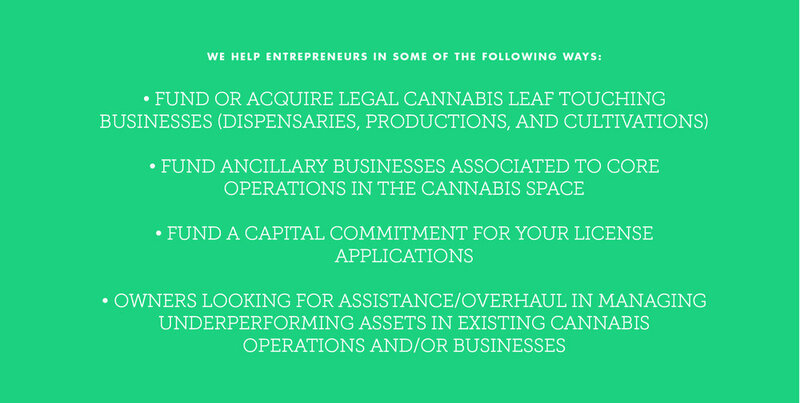 If you are an owner, entrepreneur, start-up or operator looking for investment capital for your legal cannabis idea, or have any other inquiries, please contact us below.